1 Now it came to pass in the third day of the first month of the tenth year of the rule of emperor Amash-Akura that the midday deliberations were abruptly brought to a halt when the day darkened in the sky. 2 And the sun went black as night and birds fell from the sky and flowers shriveled in the field and people fell sick in the streets and in the houses. 3 And in this moment of terrible distress the skies opened with a loud shriek and angels, bright as the sun was black, descended down to earth and their beauty soothed all the people and the animals alike. 4 And when the angels touched the ground with their feet the earth shook violently and fire engulfed those daring too near the divinities. Their power being mighty and their presence potent the people were wise not to look too closely upon them. 5 The emperor came from his high seat with his retinue to meet with the angels outside the city walls. And lo and behold! The moment the emperor passed below the city gates the sun cleared and shone as brightly as ever before, all in the glory of the emperor and the heavenly angels that called upon him. 6 The angels spoke the language of God and called themselves sefrim: those that guard the high seats of heaven. God ordered them here to protect the emperor against all evils that ever beset him. 7 The sefrim offered unto the emperor a present from God as one brother to another: Ametat the Scepter and Avetat the Crown, showing the great pleasure God had in the earthly work of the emperor. 8 And thus the sefrim came to serve the illustrious Amash-Akura, to stay by his side during the day and guard his sleep during the night. A great house of white stone and marble was built for the sefrim to reside in and were tended by the best servants the empire had to offer. 9 For a hundred years while the sefrim watched over the empire no wars or epidemics or famines ruined the lands and the people were content and joyous. 10 From Istha in the north and Melekel in the south and Edras in the east and from Iphria in the west people came to pray before the holy sefrim and receive a blessing to take home to their families. 11 The sefrim stood tall and beautiful, clad in their white and amber robes, with masks of gold and silver to protect people from being struck dead by their angelic beauty. 12 And all this time the emperor Amash-Akura did not age one day and was as healthy and strong as the day he came of age. The Scepter gave him vigor and the Crown gave him acumen and his rule was wise and fair. 13 Then Molok the Deceiver sundered the lands and the people suffered floods and plagues conjured by him. Molok turned the people against the sefrim and people who once sang their praise now abhorred them. 14 The emperor saw that all was not good and summoned the sefrim and said unto them, The people are in great distress, what remedies doest thee have? 15 And the sefrim answered, My Lord, the land has split against thou, thou must make war upon thy enemies to reclaim what is justly thine. 16 And the emperor asked, Will thee aid us in this perilous endeavor? 17 But the sefrim answered, No my Lord, we are here only to guide and guard, it is forbidden to us to aggress upon any man. 18 Then be gone! The emperor said in anger, for his foes were formidable. 19 And the sefrim, not longer in the emperor’s favor returned to from whence they came that very day. And the moment they left the sun went black and people cried in anguish for this was an evil omen. 20 And that night God spake unto emperor Amash-Akura in his sleep, Thy folly is great, Amash-Akura, thou hast rejected those I sent to thee in thine hour of need. Thou must redeem thyself to me by thy own merits. 21 And next day Amash-Akura had aged all his days and his hair was white and his skin wrinkled. But his spirit was high and his will resolute. God had charged him to take back his empire. 22 For five years Amash-Akura battled his enemies, wielding the Scepter and the Crown, and triumphed in the end. The day after Molok the Deceiver was brought before him in chains and sacrificed on the altar of God; the emperor died in his bedchamber, his task fulfilled. 23 And that night the sky turned red and the people were again happy that God was content with them and the new emperor. The above text found in the holy book of the Amarrians the Book of Scriptures (actually several volumes). It dates more than 6000 years back, to the time when the Amarrians were still a fledgling nation on the planet Athra (later renamed Amarr Prime, once the Amarrians had conquered it completely). The story of the sefrim and Ametat and Avetat has fascinated scholars for ages. The first chapter of the Epitoth is the oldest text containing information about the sefrim and is also in many ways the most detailed. It describes their arrival and departure, as well as their appearance. In later texts the sefrim are only mentioned as mythical creatures and servants of the Amarr God and emperor. But there are in existence fragments of texts from various sources that speak of the gifts the sefrim (singular form: sef), the Ametat and the Avetat, or the Scepter and the Crown. These fragments not only support the truth of the story (at least up to a point), but they also contain information regarding what happened to the items. The Scepter and the Crown, described as made of incredibly light-weight metal, yet also very strong. No surviving manuscripts give any exact info about their function other than they allowed the user to ‘wield the power of God’ and ‘harvest the knowledge of creation’. There are more facts that support the story. Astronomical data shows that two solar eclipses occurred in the space of 101 years in the same time period as the text was (accurately established) written in. Both of these eclipses were caused by the large planet Zorast, the next planet between Amarr Prime and the sun (none of the Amarr Prime moons are large enough to create anything more than hardly noticeable solar eclipses). 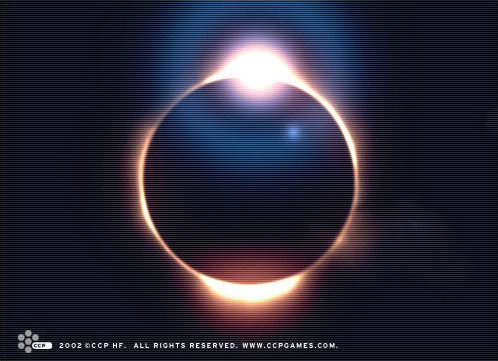 The first of the Zorast solar eclipses created full umbra on Amarr Island, while in the latter the island was only in the penumbra of the eclipse. What is more, five years after the latter eclipse a huge asteroid hit the gaseous Zorast while the planet was well aligned with Amarr Prime, an event that was undoubtedly spotted on Amarr Island. Going back to Ametat and Avetat, the two items remained in the emperor’s family for four centuries, when they inexplicitly disappeared. In one of the last texts to mention it, a report made by the Amarr Court Chamberlain, it is stated that despite their age not one blemish or rust-spot is to be found on them. Despite numerous red herrings and fabrications through the ages, as well as many methodical searches, the real Scepter and the Crown have never been recovered.